At a meeting in Washington with US president's senior adviser for European affairs Charles Kupchan, Lithuania's Foreign Minister Linas Linkevičius discussed the nearest Allied actions in response to the violations of Minsk accords and urged the US administration to support provision of weapons to Ukraine, the Foreign Ministry said on Wednesday. "A country has a right to self-defence. It is not escalation of a conflict, quite the opposite – idleness of the West leads to faster success of the Russian military scenario. We should not contribute to the implementation of the scenario," the minister said. He emphasized that the situation continued to deteriorate, and the aggression in Debaltseve drew no response from the Western world. 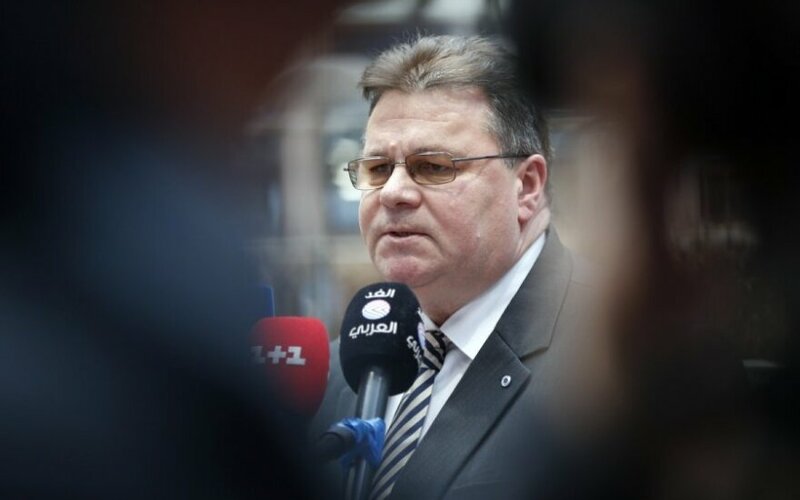 "Violations of the Minsk accords continue, this has to have a price," Linkevičius stressed. The Lithuanian diplomacy chief discussed Western response to the Russian aggression and help to Ukraine with experts of one of the most influential analytical centres in Washington D.C., the Brookings Institute. According to the press release, the experts inquired about the assessment of the situation in Ukraine and Russia, public opinions about the regional security situation and implementation of the agreements reached at the NATO summit in Wales. Experts noted lack of precise information about the humanitarian situation in Eastern Ukraine and the number of casualties. The minister's February 24-26 visit to the United States is intended for meetings with the US administration and the expert community to promote cooperation in the implementation of NATO security boosting measures and harmonize positions on further actions in helping Ukraine and the Western reaction to the Russian aggression in eastern Ukraine.